We are now 11 days into 2016 and I find my anxiety, fear and stress about the next few months building….I am aware that God goes before us and paves the way, but honestly that’s tough to focus on when these emotions creep in and eat away at my insides. I keep telling myself to “take every thought captive in the name of Christ” like Corinthians talks about, but that’s tough too. I’m even using counselling skills that I have taught clients and I’m still feeling overwhelmed. I think sometimes I forget how hefty this move really is…. you know over 13,000 km, no biggie! I find myself lying awake at night thinking about the kids going to Faith Academy, making new friends, adjusting to their new life, where we’re going to live, the work we’ll be doing, all we have to do on this end to prepare, the sale of our home, our family, our dear friends, saying good-bye, our dog and the list goes on…. I have moments where I feel extremely overwhelmed, lost and confused. I am so thankful for my Savior and my faith in Him to get me through even though it’s tough. 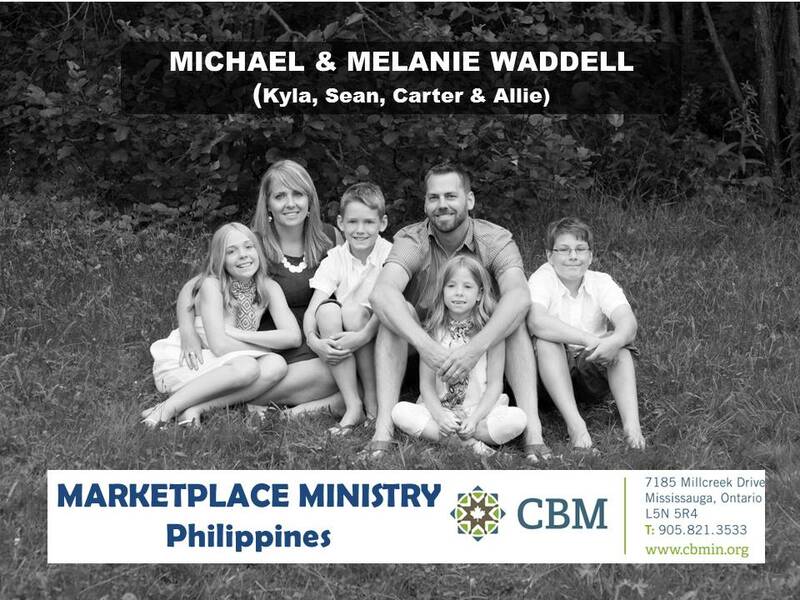 I am aware that some of these thoughts have been triggered by “The Waddell Clan” hitting the fundraising trail next week and realizing that we won’t be back in our home church until Easter and then gone again… I am beginning to experience grief on various levels. As we all know there are various stages of grief and I think I am finding the reality of our situation difficult to accept and kind of depressing. At the same time, it’s very exciting to be following God’s plan for our lives because the reality is that all the doors around here have closed and this one has been blown wide open. Sometimes I fear that I am lacking faith in our God to lead the way and that stirs up anger within me because He has been so gracious and provided so much for us. I’m continually telling myself to just trust and that I know better than to doubt His faithfulness. There is such a mixed bag of emotions to sort through along this journey, especially as we watch our extended family members grieve too. Hebrews 11:1 “faith is being sure of what you hope for and certain of what you do not see” has been my assurance. I know God is present and leading the way, so I chose to have faith in His Mighty hand. The truth is… I can picture us packing, leaving our home of 10 years, hugging and kissing those we love, but the finality of saying good-bye and the reality that life goes on and we won’t see people we love for 2 years is hard to accept. Actually, I am realizing that in order to accept the reality of this hefty change I need to trust God more than I ever have in my entire life. This has made me even more thankful for the trials, the pain, the hurt and the loss that we’ve experienced over the last few years that has taught us and our kids all about really trusting our Savior and seeing how He really does go before us. Honestly, after knowing the Lord for over 25 years I thought that I did trust Him, but it wasn’t until we really struggled that I began to understand what trusting God is all about and the fact that I need to hold onto the truths that I learnt during those difficult days. I am so thankful for His joy and peace in the midst of heartache and loss! I chose to hold loosely to things that are fleeting and to model to my kids what holding onto Jesus for life looks like, as best I can! Thank you Father! We ask for your support, both Prayer and Financial!